Don't worry, we are still going to keep our Etsy shop open however, we may not have all of our products on here so we suggest checking out the new website! Eucalyptus Spearmint Bath Bomb| Aromatherapy. Essential oils. relaxation. spa. therapy. stress relief. Blue bath bomb. Green bath bomb. We love these bath bombs! We like them better than some other shops we've tried. Got here in a good amount of time, and packaged safely and well. Smells awesome, and works just as well. Very happy with the product; definitely recommend! 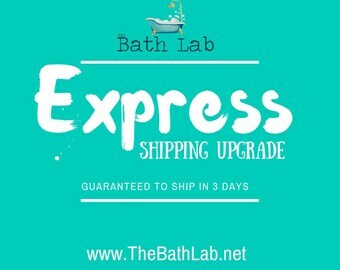 Fantastic bath bombs and super fast shipping. I can smell them even as they sit in my bathroom closet. I tried one of them and my skin felt smooth and silky, and the water was a gorgeous color with a wonderful scent. Welcome! Thank you for checking out the Bath Lab. Learn all about us here. The Bath Lab was created by partners, Josh and Phillip in fall of 2016. Josh and Phillip have a love for anything and everything artsy and love what they do with The Bath Lab. The Bath Lab was created as an outlet for something for Josh to do in his downtime so he wasn't bored all the time. Hi! My name is Josh and I am the creator of the Bath Lab. I have always loved creating things and seeing how I could push myself to the next level of creativity. I love what I do with The Bath Lab and the smiles it brings on my customers faces. My product doesn't look exactly like the picture. Why?! Due to the nature of our products and them being made in small batches to ensure freshness and the fact that they are homemade, your products might have slight changes due to the fact that no handmade product is exactly the same. Each product does have a disclaimer in the item description box letting you know that you could see a change in size, shape, and/or color due to the fact that they are indeed handmade. Store in a dry area! If your bath bomb gets wet or if there is moisture in the air it could cause the bomb to react and fizz before you get to enjoy it in your bath! To prevent this from happening keep your products in their original packaging until you are ready to use them. Our bath salts come sealed in either a bag or a jar. It is best to keep them in their packaging until you are ready to use them. We are more than happy to discuss our special custom and personalized orders with you! If you are interested in purchasing event favors from us or are interested in custom scents or something completely different please contact us and we will work with you to make your dreams come true!